Tacos are the one thing that makes me a non-vegetarian. It is our all-time celebration food over all else. As committed health nuts, we make our own homemade tacos. It is easier than it may sound and takes the fun back into cooking. Try the recipes out. Please tell us if these are not the best, mean, lean homemade sauce, salsa, guacamole and shells you’ve ever eaten? It is surprisingly easy, fast, and fun! The taco spice blend is so much nicer than anything shop-bought. The meat sauce is made leaner and tastier with its addition of black beans (or lentils). The salsa works magic to tacos – and as an accompaniment to chicken, fish or simply on its own. Guacamole can never come in a jar after you’ve tasted this one. The art of making tortillas, nachos and taco shells has become an addiction. The short cut version works too! Read on and try the recipes – you will get convinced! Tacos: Junk food or Healthy? Tacos have become synonymous with relaxed family style eating. Taco Tuesdays or Cosy Fridays are lined up with jars, packets and microwaved shortcuts. Tacos have unfairly become junk food, and most people consider Mexican food. Processed food is not what we like, nor can we take additives, gluten or dairy. Our Mexican experience opened the door to the real homeland of tacos. We knew that we could find a way to a healthier, homemade version of the sauce, salsa, guacamole, and shells. It would have to start with a good spice blend, and the rest we would figure out along the way. We got there with the help of inspiration, and a bit of trial and error. Just as cooking should be, right? Mexico has certainly put its mark on world cuisine, and you only have to browse the internet to see wonderful recipes, artful presentation and creative cooking. Tomasina Miers is, of course, a great inspiration for anything wonderfully Mexican and Latin inspired. Her cookbook “Mexican Food Made Simple” really gets your taste buds going. A more advanced dive into all things spicy is “Death By Burrito” by Shay Ola. For the foodie midnight reader who loves to get inspired I recommend “Mexico – The Cookbook” by Margarita Carrillo Arronte. To really master your own tacos you will need the taco spice blend and tortillas (taco shells) tips below. The spice blend is easy to make and keeps well in an airtight container. Tortillas are your starting point for taco shells. For a good how-to method, we recommend this one by Isabel Eats 3-Ingredient Authentic Mexican Corn Tortillas. We can’t get masa harina here in Italy, so we buy it from Amazon. The tortilla press makes the process that much more fun! 1 Tbsp. Chili Powder. 1/4 tsp. Garlic Powder. 1/4 tsp. Onion Powder. 1/4 tsp. Crushed Red Pepper Flakes. 1/4 tsp. Dried Oregano. 1/2 tsp. Paprika. 1 1/2 tsp. Ground Cumin. 1 tsp. Sea Salt. 250 g Masa Harina; 200 ml hot water; 1/2 tsp salt and this link will give you a great how-to method. You will need a tortilla press like this one – but a rolling pin can work. For crispy taco shells bake in the oven for 5 min. TIP: To turn the tortillas into crispy taco shells, place them lightly brushed with oil in a preheated oven for 5 minutes. Let them cool over a glass and hop! – you have a crispy taco bowl or shell. If you’re not into tortilla pressing, try our shortcut version: Buy flatbread (gluten free) and bake in oven sprinkled with some taco spice blend (see recipe below) and salt. Let cool and there you go! Tacos with black bean meat sauce. Salsa to die for and chucky Guacamole . The best, mean, lean version of tacos you will try. Fun and easy to do. Super to eat! 400 g Beef, cut carpaccio style or pounded thinly then chopped. Chop the onion and the carpaccio slices of beef into dice and set aside. Grate the carrot and celery stick, then chop the garlic and chilli. Take out a skillet pan, and add garlic, chilli, onion, carrot, celery, taco spice blend and diced meat. Let it all get properly caramelised and browed. Add Tomato passata (or tin) and let it cook together for a good 5 minutes. Add coriander, salt, pepper and honey. Now add the black beans and allow it all to cook together. If it becomes too thickish add water - a little at a time - and taste. Let cook on a slow heat for another 10 minutes. Juice the lime, add taco spice blend, salt, pepper, chilli, garlic and coriander. Chop cucumber, onion, tomatoes, and bell pepper. Enjoy serving in small bowls, and grate some hard sheep's cheese on the side (if you want it) as this is easier for the digestion for someone with dairy intolerance. Check out the post for recipes how to make spice blend and taco shells. Making tacos is about having fun, tasting and getting it to a level you like. Therefore - feel free to add / take away. Spice and chilli is a taste thing so don't get stuck on measurements - use your pallet. Enjoy! With a husband who works away, the time at home is short and precious. It must include a taco night. Our version is crafted around what we prefer, and lighter. We enjoy the process of making tacos – but the eating… That is the best part! Do you like healthy food with spice, herbs, flavor and foodie yumminess? 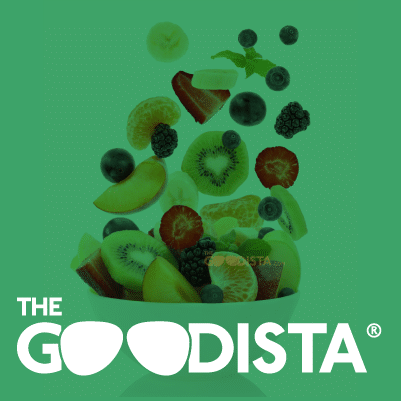 Try out recipes on the goodista healthy lifestyle blog — and do join our mailing list too. This taco/salsa and guacamole sounds just wonderful. Even though not a regular for tacos, this inspires me to make them. Wow, thanks!